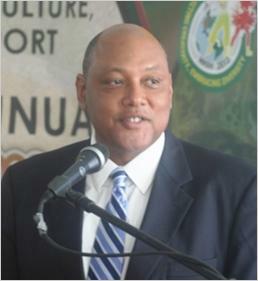 Bai Shan Lin Forest Development Inc. and Vaitarna Holdings Private Inc. will have their contracts, which allows them to harvest timber from Guyana’s forests, terminated if they fail to commence value-added operations by year-end, says Governance Minister Raphael Trotman. Bai Shan Lin established itself in Guyana in 2005 and has several concessions in Guyana, including around 960,000 hectares of forest, a 20-kilometer river gold mining concession, and 400 acres of land for real estate development. Vaitarna’s also holds a concession for several hundred thousand hectares of forest. As part of their contracts, both companies were obligated to establish and operate timber-processing plants. In 2013, former Minister of Natural Resources, Robert Persaud, had said that the Bai Shan Lin facility, which was due before 2013, would be established and operating by 2015. The Government Information Agency (GINA), in the same year, had reported the Bai Shan Lin’s President, Chu Wenzhe, as saying that plans toward establishing the wood processing plant in Region 10 were progressing. A similar facility for Vaitarna was also promised by the former administration and the company’s officials. In UK VAT IS 23% INCOME TAX 22%. However most foods and some clothes are exempt from VAT. Corporate tax is 20% but downward to attract investment. NIS national insurance 9% employee 11% employer…..pays for free health care NHS. These are issues that must be addressed…..sooner than later. Am optimistic for change on how Guyana does business. As a result of their contractual noncompliance, there have been many instances where foreign investors in the timber and mining industries have been reported as violators of the ecosystem and economy of Guyana. Also, they have been involved in much bribery and corruption. What these investors do in Guyana, they do not do in their own countries. It’s all consistent with the NIMBY (not in my backyard) syndrome. As we knew for a long time, the PPP/C government under the leadership of Bharrat Jagdeo and Donald Ramoutar was deeply steeped in mismanagement, bribery and corruption. I’d assume the incidence of corruption which is being investigated is only the tip of the iceberg. Foreign investors, companies and contractors that are not in compliance with the contractual terms and conditions and rules of Guyana should be penalized and/or their operations should be terminated. The current government of Guyana must be persistent to exercise a low tolerance for crimes, bribery and corruption or else Guyana will continue to struggle for change and progress. No senior figure has been held criminally liable or has even been disqualified for the practices that helped to trigger the Financial crisis, partly because the laws that should have restrained them were slashed by successive governments. A former minister in this government ran HSBC while it engaged in systematic tax evasion, money laundering for drugs gangs and the provision of services to Saudi and Bangladeshi Banks linked to the financing of terrorists. Instead of prosecuting the Bank, the head of the UK’s tax office went to work for it when he retired. The City of London, operating with the help of British overseas territories and crown dependencies, is the world’s leading tax haven, controlling 24% of all offshore Financial services. It offers global capital an elaborate secrecy regime, assisting not just tax evaders but also smugglers, sanctions-busters and money-launderers. As the French investigating magistrate Eva Joly has complained, the City “has never transmitted even the smallest piece of usable evidence to a foreign magistrate”. The UK, Switzerland, Singapore, Luxembourg and Germany are all ranked by Transparency International as among the least corrupt nations in the world. They are also listed by the Tax Justice Networkas among the worst secrecy regimes and tax havens. For some reason, though, that doesn’t count.